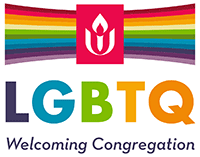 Central Unitarian Church is a religious community that serves members throughout Bergen, Hudson, Passaic and Rockland counties. Founded over a century ago, our congregation is part of a 450-year-old faith tradition and is a member of the Unitarian Universalist Association. Unitarian Universalism is a 450-year-old faith with its roots in the Protestant Reformation and a long history of commitment to social, religious and political reform. UUs like to say that they care more about getting heaven into people than people into heaven. us. Learn more about our faith.